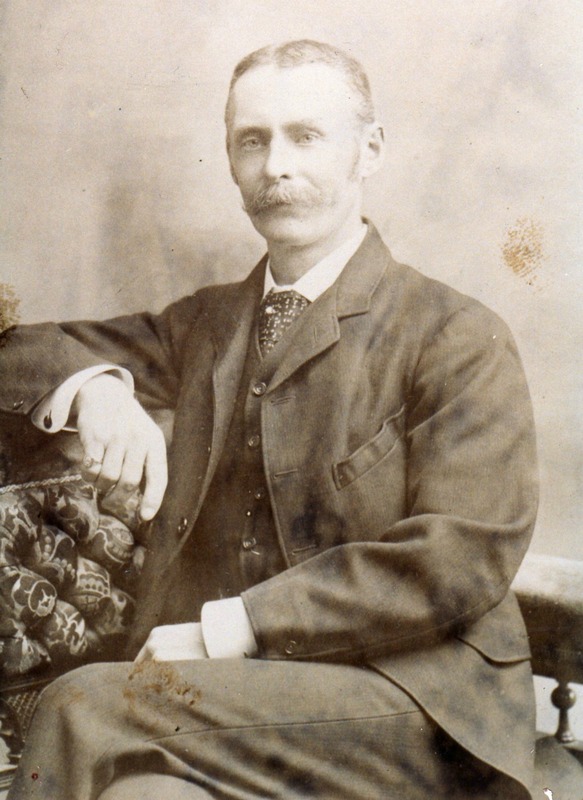 James Mitchell Mutter (1845-1920) – Temple Lodge, No.33, Duncan, B.C. James Mitchell Mutter was a charter member of Temple Lodge, No.33 in December 1899. In Scotland he had been a member of St. Mark’s Lodge, No. 102 in Glasgow. He was native of Scotland who came to Canada with his family in 1891 and settled in the Somenos district of the Cowichan Valley, where he established a farm. He was active in promoting agriculture, particularly the raising of sheep, cattle and pigs, in B.C. He was also active in politics, serving as a Member of the Provincial Legislature. 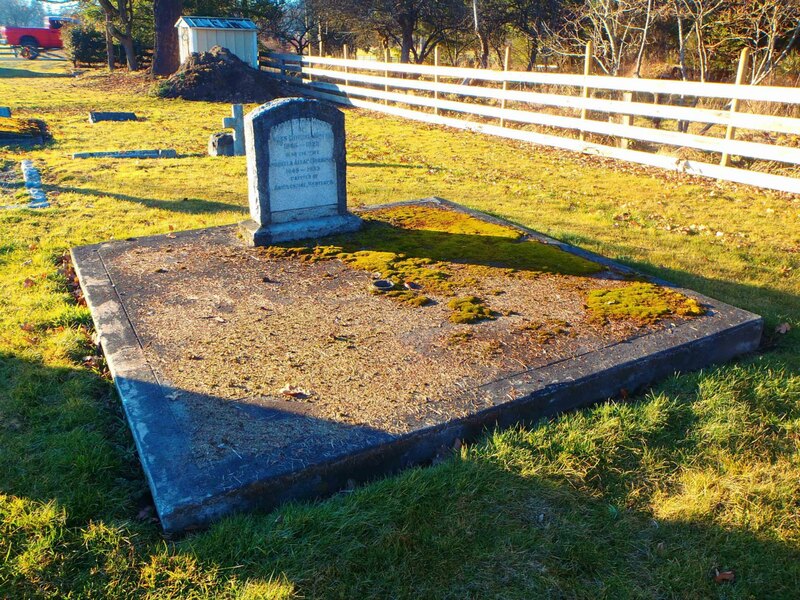 His son, James Islay Mutter, was also a member of Temple Lodge and served as Mayor of Duncan and Reeve of North Cowichan. 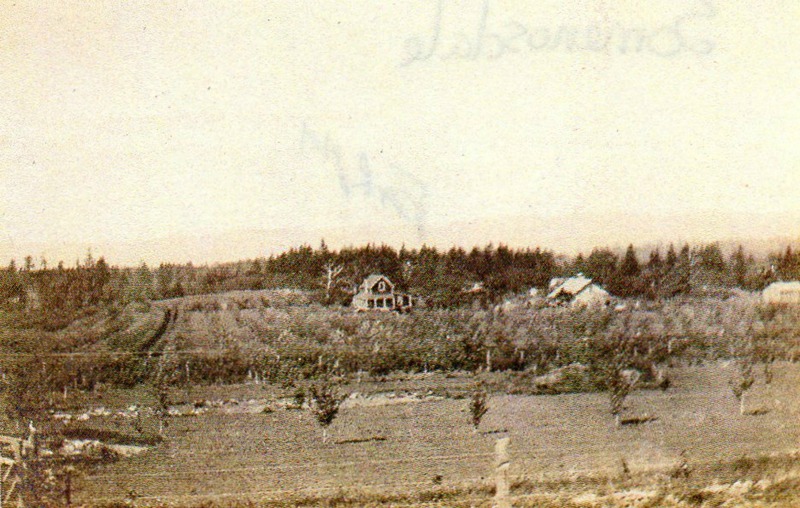 Here is a photo of Major Mutter’s farm, Somenosdale, at Somenos, north east of Duncan, circa 1910. The farmhouse is still standing. “Mutter – Cowichan today mourns the loss of one who, for many years, took a leading part in her affairs, Major James Mitchell Mutter, who died on Monday at his home in Somenos, after a long illness. 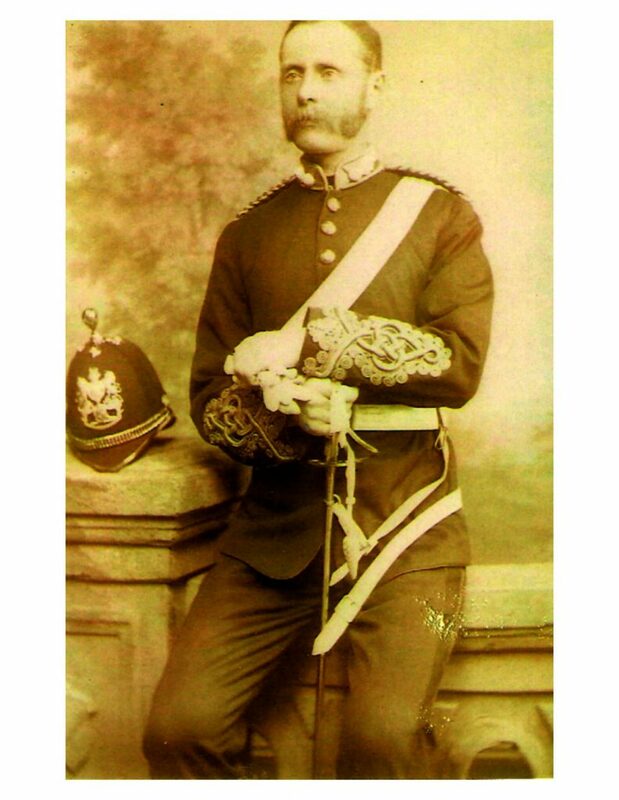 He was born in Glasgow, April 8th, 1845, the eldest son of James Mutter, J.P. for the county of Argyll, his mother being the only child of George Cruickshanks of Glasgow and Banffshire. His desire for colonial life manifested itself early. Thus at eighteen he sailed for Australia to learn sheep farming, and for some years he knew and loved the backblocks of the Riverina, along the Murray river. Later he returned to Scotland to take up his father’s business of distilling in the Island of Islay. There he was married and his family was born. In all local and county matters he there took the liveliest interest. On his property of “Bunanuiagdh” he raised sheep and highland cattle. 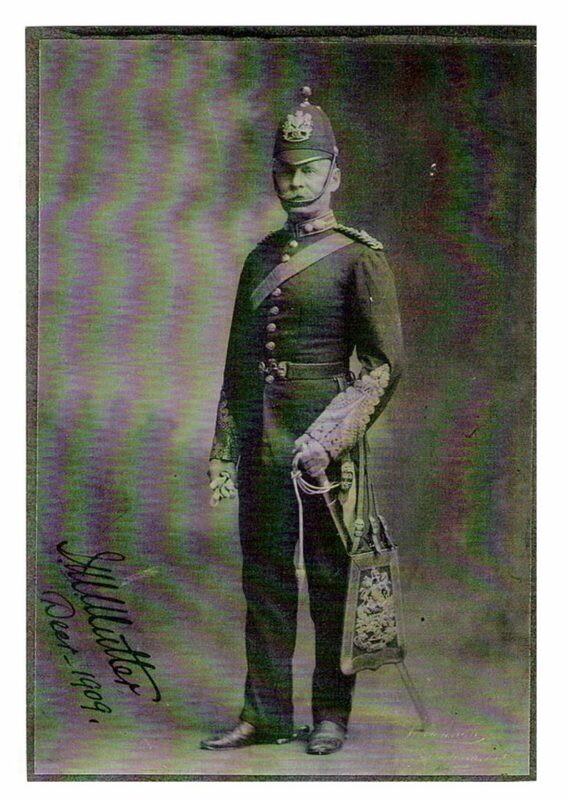 He became a J.P. for the county of Argyll, and for years was on the staff of the Argyll and Bute Artillery, Southern Division, R.A., from which he retired with the rank of major, October 17th, 1891, when he left for Canada with his wife and family. They came directly to this province and soon settled in Somenos, where Major Mutter purchased a farm of considerable extent from the late James Kier. His fondness for stockraising and interest in all matters agricultural have left a permanent mark on the progress of the district. He was one of the first to bring to Cowichan pedigreed Jersey cattle and pedigreed Southdown sheep. He originated the movement which resulted in the establishment of the Cowichan Creamery. To him and to the late Captain Barkley the V.I.F.A. [note: Vancouver Island Flockmasters’ Association] owes its inception. 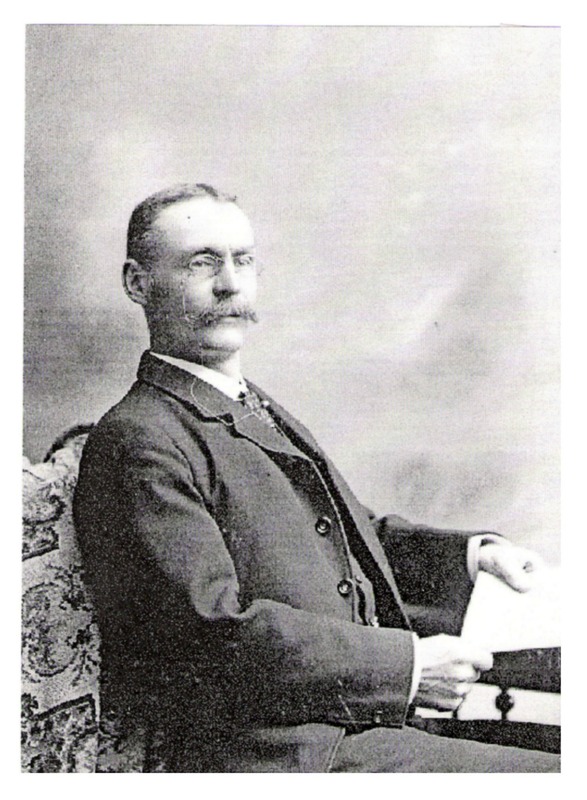 For several years he presided over the fortunes of the Cowichan Agricultural Society. His challenge shield is still competed for yearly. He was the president of the B.C. Dairymen’s association and arranged their first sale of pure breed dairy cattle and pigs. As a judge of stock he was well known in the province and in Scotland. A Conservative in British politics he became member for Cowichan-Alberni by acclamation to the general election of July 1894, and served in the provincial legislature under the premierships of the Hon. Theodore Davie and the Hon. J.H. Turner. During his term, which lasted through the seventh parliament, the old legislative buildings were deserted for the present magnificent pile. He then returned to his farm and later, removed to Victoria, where he had been appointed superintendant of the provincial goal [sic]. There he remained until, in 1913, the new buildings having been completed, he returned to spend his declining years at Somenos. His valuable services at his last post won approbation from the attorney-general, and other marks of appreciation. During the past seven years Major Mutter lent a hand wherever he could. He was a strong supporter of Red Cross work, his influence materially assisted recruiting; he became the first president of the Somenos local U.F.B.C. ; and assisted at the inception of the Cowichan G.W.V.A. He was a member of the Army and Navy Veterans’ association. He was one of the founders of Temple Lodge, No. 33, A.F. & A.M., the officers and members of which will be present at his funeral the afternoon (2 p.m.) at St. Mary’s Somenos. His old friend Canon Leakey, Ladysmith will conduct the services in the church, and the Rev. A.F. Munro at the graveside. 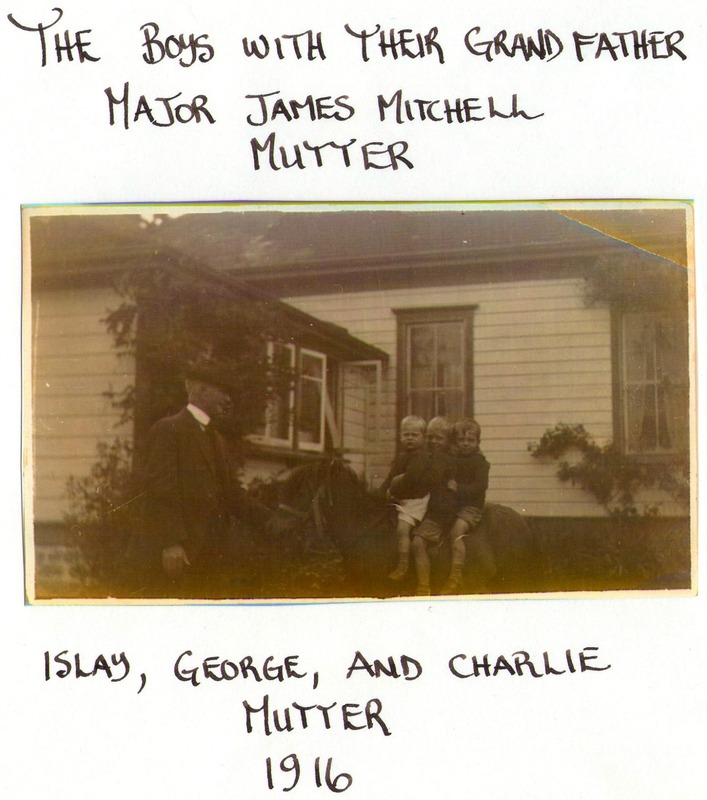 Major James Mitchell Mutter is buried in St. Mary’s Somenos Anglican cemetery, North Cowichan, B.C.